With over 500 million active daily users, Instagram is one of the most desirable platforms for you to use for your wedding photography business. In our Guide, Instagram for the Wedding Photographer, we take a look into how some industry leaders use strategies to attract and connect with followers, vendors, and fellow photographers. Although there are various accounts from photographers all over the world, there are some that stand out more than others. Whether they have specific hashtags to use, curation methods, or engagement strategies, these photographers use Instagram to encourage followers to access their website or blog. In general, social media is perfect for you to attract and get to know followers and book them for their upcoming engagement or wedding shoot. To provide you with additional inspiration for your Instagram account, here are 4 wedding photographers who will ignite your strategy. 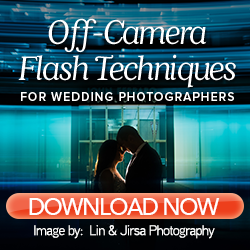 Lin & Jirsa Photography have an Instagram business account that you can look to for inspiration. Throughout their account, they share stunning photos from their past wedding shoots. From creative ring shots, to detail shots, to dynamic backgrounds, to couple portraits, the images on their account represent their unique photography brand. In their past wedding posts, they provide credit to the vendors involved in the wedding day. This post in particular is an overview of the reception hall, where it showcases the table details and the floral arrangements. In the text, they list out the “awesome vendor team” with their unique handles. This gives proper credit to the vendors, strengthens relationships, and encourages vendors to share more about the photography studio’s services. Wedding photographer Mary Marantz (of Justin and Mary Marantz) has an Instagram business account you need to pay attention to. With the strategy she has built, her posts are intentional and help build relationships with her followers. There is a healthy mix of wedding, personal, and educational posts, where she adds colorful commentary to each. Throughout her posts, she properly uses hashtags, geotags, and handles to expand her reach with followers on the platform. These techniques help her get closer to ideal clients and ideal vendors. In a past post, they share the perfect example of geotagging doing its job (check out the story about this post here). She also uses Instagram Stories to share more about her and husband Justin, their daily activities, as well as sneak peeks into wedding shoots and educational and upcoming events for their business. Fine art wedding photographer Jose Villa has an Instagram business account that you can gain inspiration from, and use similar strategies on your account. With a consistent posting strategy, he can share his past wedding shoots on a regular occasion with his followers. On his account, he features a profile photo that shows followers who he is. He also has a specific introduction to his services in his bio, where he shares a link to his website (or other relevant sites) for followers to access. In some of his posts, he shares about his other business account, Jose Villa Workshops. This is a great way to inform his wedding photography followers about his upcoming events, so they can access this account and sign up for his workshops. Melissa Jill, wedding photographer, has an Instagram business account that provides you with strategy and inspiration. 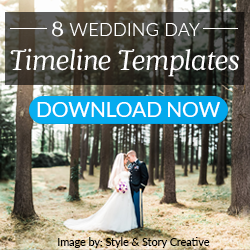 She shares a mixture of past wedding photos, personal posts, educational updates, and inspirational posts with her followers, allowing her to connect with her followers and keep them engaged with her account. Throughout her posts, she interacts with her followers and encourages engagement from them. On her inspirational posts, she often shares her personal challenges, obstacles, and lessons learned. This post shows how she can connect with her audience (whether they are potential clients or photographers) through her experiences. She also uses her Instagram posts to share about her blog, using #linkinbio where she places a custom link for her followers to click. 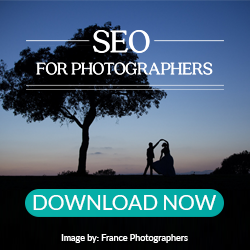 Each photographer above has a strategy to help them increase their followers, encourage engagement, and lead potential clients to their wedding photography website. 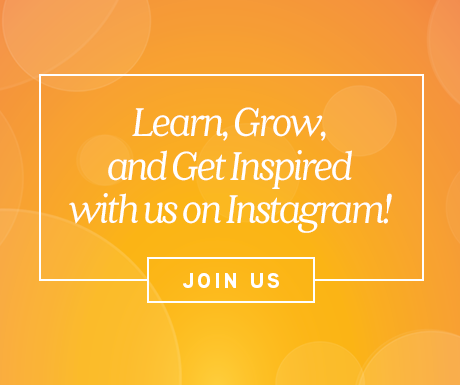 What can you take from each of their strategies and use on your Instagram account? Perhaps when you receive your images back from a wedding photography editing service, you share them to your blog, and want to share more about the post on your Instagram account. Or, maybe you want to discover new curation techniques to showcase the best images you shot from past weddings. Just keep in mind that every photographer is different, as well as their social followers. Ensure you test which strategies work best for you and your followers. What else can you do to create an Instagram business account that helps you book more clients this year? Download our Instagram for the Wedding Photographer Guide to discover actionable tips and tricks you implement on your account now! Click the banner below to get your copy today.